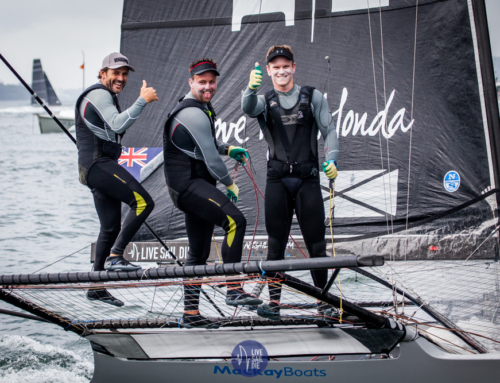 Royal Akarana Yacht Club has four boats representing the club and Auckland Skiff League at the annual JJ Giltinan Trophy hosted by the Australian 18 Footers in Sydney. The Kiwis with a score to settle. Last year they won in San Fran, New Zealand and Fiji but they finished second at the JJ Giltinan by just one point. Can they make up that point this year to take out the podium? 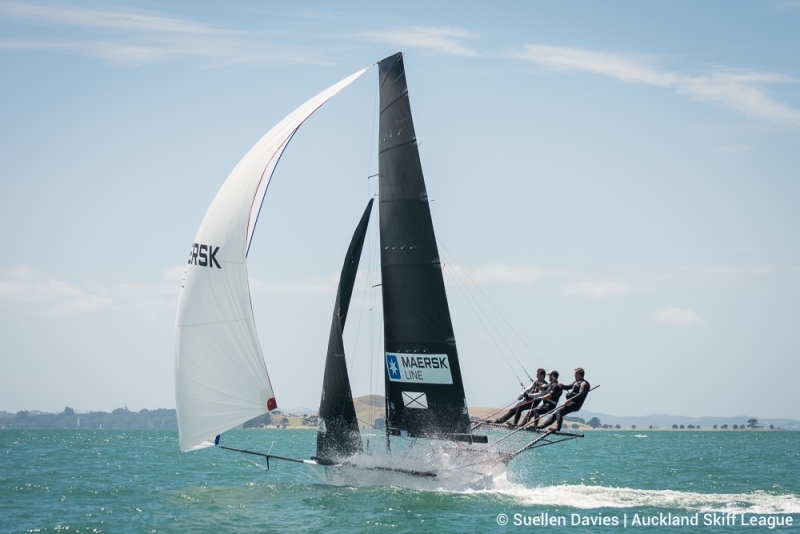 Maersk Line were showing moments of brilliance in the recent NZL Championship even giving Yamaha a run for their money. Graeme has years of experience and can sometimes give the young guys something to chase. The C-Tech boys are back this year. Last year they tried to go four up which was not so successful when the breeze was light. This year they are going three-up again and hopefully that makes the week a bit easier for the boys. 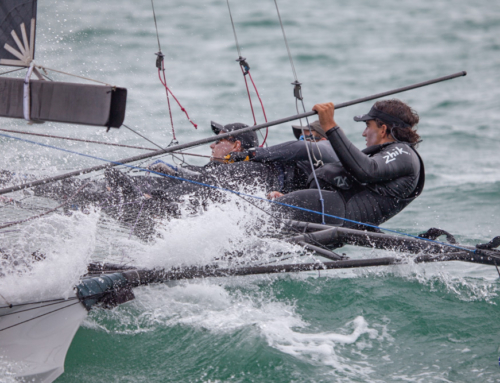 Knight Frank shows some talent in New Zealand with their club racing and is ready to prove what they have on the international stage again this year. Yamaha got off to a great start by winning Race 1 of the regatta. There is one race a day for the regatta which is considered the “INTERGALACTIC CHAMPIONSHIP” of 18′ Skiff Racing. Akarana member Brad Davies is also at the regatta and is filming the Kiwi boats. Check out the Day 1 wrap up video.